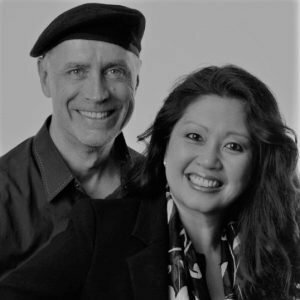 If you would like to work with Maria and Ray directly to learn more about how to get positioned as a leading AUTHORITY and credible EXPERT in your industry using the power of CELEBRITY and would like to be a featured guest expert on their show, please check out the services below for details. Dictionary.com defines 'showcase' as ... "to show to best advantage"
And that's exactly what we do for YOU. New Free Online Training for Entrepreneurs and Small Business Owners on ... How to Look and Sound Like a Pro on Camera for Your Next Webcast, Podcast, Livecast, Broadcast or Anycast! Learn from top celebrities, entrepreneurs and industry experts as they share success stories and expert advice - from the red carpet, in studio, behind-the-scenes and backstage at events. JOIN US to get connected now. We invite you to learn more about how we may help position YOU as a LEADING AUTHORITY and CREDIBLE EXPERT in your industry using the power of CELEBRITY and the MEDIA. Complete the online form to schedule your complimentary strategy session. Get featured as a celebrity talk show guest expert and borrow celebrity star-power for instant notoriety and credibility through our 12 week VIP Media Showcase Mentorship Program. Complete the online form to schedule your complimentary, no obligation one-hour strategy session. Learn to get positioned as a VIP (Very Influential Person) and credible expert in your industry through our authority marketing and expert positioning DIY online training and continuity program. Select our 7-Day Trial and get started today. Choose between quarterly and annual plans. Join our exclusive VIP Producer Circle and be one of a select few qualified participants who work with us directly for an entire year as part of our MEDIA SHOWCASE partnership program.